As soon as someone says Siem Reap you automatically think of Angkor Wat, but that's not all you can get up to in this amazing destination. 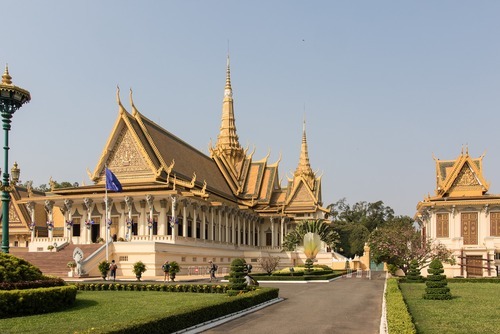 View our guide which includes top rated sightseeing tours, packages, recommendations for the best free things do, tips for where to stay and how you can save money and visit Siem Reap on a budget. 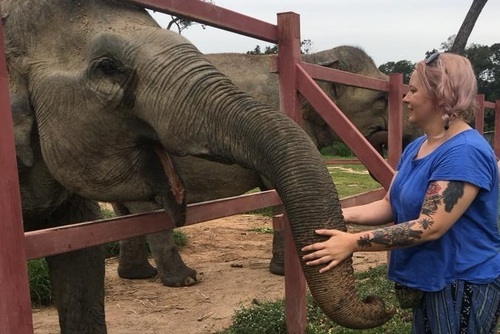 One of our featured travel writers, Kali Mason, recently visiting and she has shared her top tips for visiting Siem Riep on a budget including cost of activities, temple sightseeing, how to make big savings and also avoid getting ripped off. Siem Riep is much quieter compared to Phnom Penh and there are lots more westerners and international tourists here due to this city being the gateway to Angor Watt. From Phnom Penh you can arrived by using an overnight bus company known as Giant Ibis with a friend, which costs an extortionate $16 compared to your average $7, but you do get a lot of comfort and a good night's sleep on the bus with superb air con, great for what you need in the humidity of Asia. If you're looking to save some money however I would book the Giant Ibis if you want to arrive in Siem Reap for the morning then book another bus ticket when you get to Siem Reap, you'll save about $10 just doing that. Angkor Wat is inevitably amazing with so many temples and ruins to explore. I could go on and on about the sheer amazement of Angkor Wat it really is one of the best places to see in Cambodia! 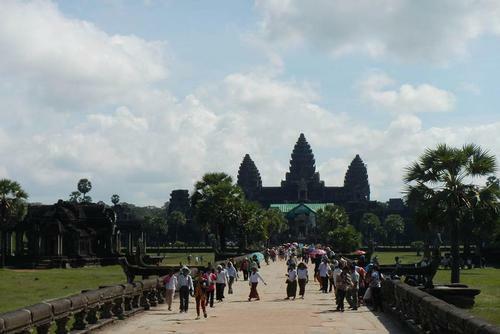 Depending on how many of you there are Angkor Wat can take longer or shorter to explore. Me and my friend had seen five temples in one day there whereas a group of you may only see two or three a day. A pass into Angkor Wat is currently $20 (as of July 2014) a day which can seem quite heartbreaking to hear, but if you know you're going to spend three days there then it's worth paying $40 for the three day pass. Angkor Wat is also, inevitably, a tourist trap, so wary of scams when visiting. 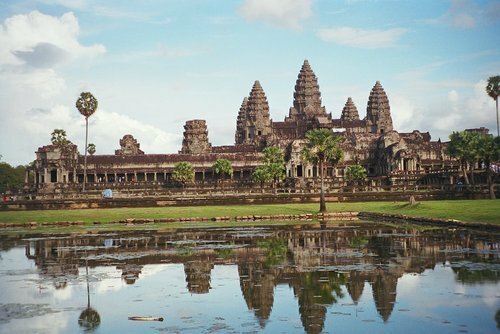 You might like to also check out this article with more tips for Angkor Wat. On that point it's very good to get a tuk tuk driver. It's a long trek otherwise and the risk of getting lost is incredibly high. Rule of thumb: the less of you the less expensive it is; we paid $10 for the day with our tuk tuk driver who was incredibly lovely. You may get fobbed off at first but don't get scared to haggle or even walk away, there are plenty of other tuk tuk drivers that will provide you a better deal... or not. Also go and get a blessing from a monk whilst you're there, the bracelet you receive is something much more unique. As mentioned by Braceletworld.co, chakra bracelets have some soothing and healing properties so it can definitely be worn everyday. More things you can do in Siem Reap include shopping at the old market, night market and hitting pub street. On the first night I went to a concert hosted by Swiss cellist Beatocello, Dr Beat Richner, who gave up his Swiss life to build hospitals in Cambodia. He now has five hospitals in Cambodia, one in Siem Reap (which I visited) and four in Phnom Penh. The catch with these hospitals is that they are aimed for children and that all healthcare received at these hospitals are free. In amongst him playing beautiful music from his cello he talked about his work and reasons as to why he wanted to help the Cambodian people. He talked about the corruption in Cambodia, a hugely pressing issue, and the fact that 90% of money put into regular hospitals is lost and never given back to the hospitals, thus the care in these hospitals can be poor. Poor Cambodians that have to fork out so much money for their child is a horrible thing, what's worse is that most are turned away and their parents simply watch their child die in their arms. 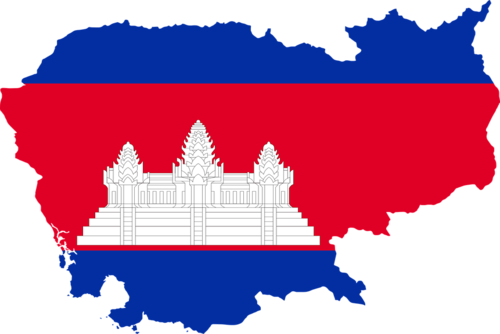 The poor/rich divide in Cambodia is larger now than ever thanks to the dramatic amount of corruption in the country, he explained. He then showed us a video including the way children were that suffered from 90% burns, dengue fever and meningitis. This concert is free and starts at 7:15pm every Saturday. Be prepared for tears and a very important discussion about corruption, politics and healthcare that truly intrigued me. If you've been to Phnom Penh you'd pay around $2 for some rice and vegetables, but here it's around $6 and you soon notice your budget fly out of the window. Your tuk tuk driver will most likely take you to a place to eat that will cost you a bomb so try out street vendors instead, you'll see them dotted around outside each temple. When I was left to myself I went to the floating village, 13km outside of Siem Reap. You can hire a bicycle for $2 or grab a tuk tuk and he'll take you there and back: I paid $5. When you get to the village it says that not many tourists go here but I beg to differ. You may need to take out a bank loan before heading here because it has tourist trap written all over it. Firstly the boat journey is $30, then you will have to buy something at the market, then you will pay $30 for a bag of rice before donating an extra $20 (which is totally fine to do for me, it's the boat price that annoyed me) to the orphanage and then tipping your tour guide. Included though is the boat ride itself, a nice tour guide that tells you anything you need to know and the round tour of the floating village. 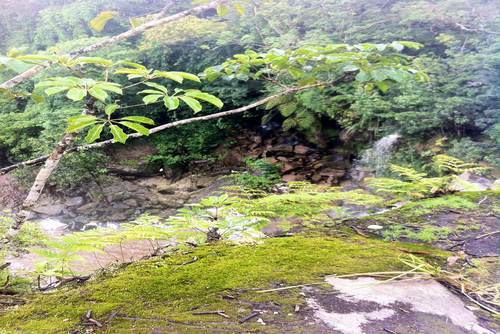 If you visit in dry season take your swimming gear as you're able to jump into the water. Then you will visit the fish and crocodile farms that they will kill for food or fashion (as a vegetarian this didn't really interest me but it was nice to see the fish and crocodiles). If you're lucky you can hold a snake or two like I did! After that you will return back to your tuk tuk driver. This will take you around 2 hours excluding the tuk tuk journeys. And your journey to Siem Reap would not be complete without visiting Pub Street. Great for a western vibe, a hint of home and cheap drinks. I made around twenty friends in one night there because every single person is so friendly there. I definitely had a great time around that end of town, you must have a night out there! 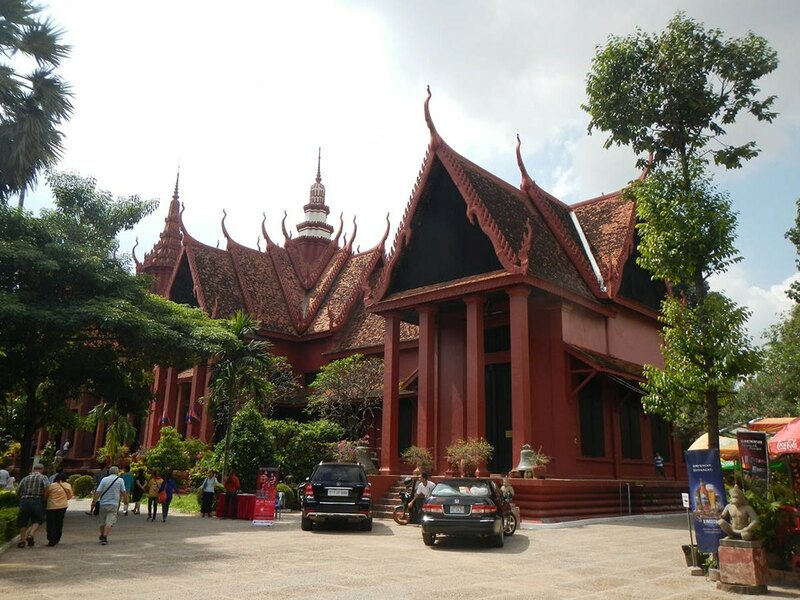 Siem Reap was a lovely place and it is possible to experience the highlights on a small backpacker budget. I met some amazing people from many nationalities and I got soaked from the rain twice but I don't mind a little, I'd rate my time here a solid 9.5/10.